www.kellymhoule.com - Kelly Houle is an anamorphosis artist in the USA. Her site displays original artworks, which can be bought in reproduction and jig-saw format, and provides a useful set of web links. István Orosz - a Hungarian artist; his site displays many original artworks. www.anamorphosis.it - Italian artists Stella and Gianni Miglietta (site in Italian). 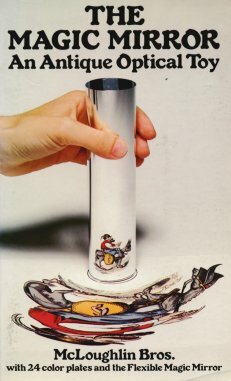 The "Count On" web site (counton.org) has a major section on Anamorphic Art, including downloadable materials for making your own anamorphic designs. 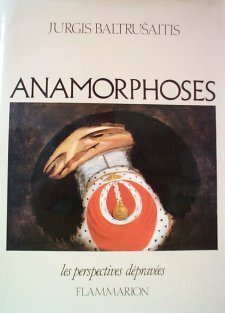 "Les Anamorphoses" (in French) - a site compiled by pupils from the Collège Terres Rouges, Epernay, France. "Mathema: Géométrie Descriptive et Anamorphoses" (in French) - Mathematical essay and pictures from an exhibition in Brussels. www.tessellations.com - Anamorphosis jigsaws, among other things. 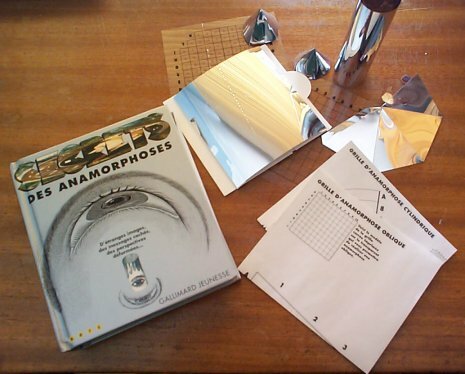 The Google search engine produces a very good set of anamorphosis links at the moment (search on "anamorphosis"). www.mathemagic.org - MatheMagic is a British organisation which promotes the public understanding of mathematics. Secrets des Anamorphoses. Gallimard Jeunesse, Paris, 1995 (ISBN 2-07-058795-9). "Anamorphic art", Martin Gardner, Scientific American, vol 232, no 1, pages 110-116, January 1975. Reprinted in Time Travel and Other Mathematical Bewilderments, New York: W.H. Freeman, 1988. "Anamorphic pictures: Distorted views from which distortion can be removed", Jearl Walker, Scientific American, vol 245, no 1, pages 140-147, July 1981. "Math Trek: Art of the grid", Ivars Peterson, Science News, 12 August 2000 (www.sciencenews.org/20000812/mathtrek.asp). La Perspective en Jeu: Les dessous de l'image, Philippe Comar. Gallimard, Paris, 1992. Eyewitness Guides: Perspective. Dorling-Kindersley/National Gallery Publications, 1992. An Introduction to Perspective (DK Art School), Ray Smith. Dorling-Kindersley, 1995. See Saw, Hans Knuchel & Jürg Nänni. Lars Müller Publishers, Basel, 1994. Mirrors in Mind, Richard Gregory. W.H. Freeman, New York, 1996. On Reflection, Jonathan Miller. National Gallery Publications, London, 1998. 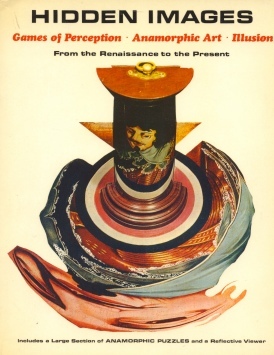 Scholarly books and exhibition catalogues on anamorphosis have been published from time to time in the last 30 years, almost all of which are now out-of-print. 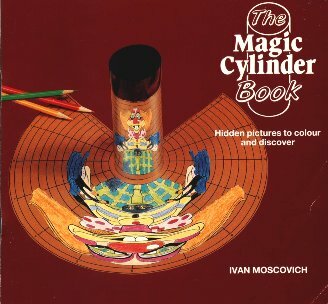 These books are often accessible in large academic libraries, such as the Science Museum Library in London (which is unusual in offering free and immediate admission to the public). Anamorphoses, ou, Magie artificielle des effets merveilleux, J. Baltrusaitis. 1969. Translated into English as Anamorphic Art, 1977 (this is supposed to be in-print from the British publisher Chadwick-Healey, but I cannot confirm this). Anamorphoses: chasse a travers les collections du musée. Musée des arts decoratifs, Paris, 1975. Anamorphoses, ou, Thaumaturgus opticus, J. Baltrusaitis. Flamarrion, Paris, 1984. Originally a large-format hardback, this is currently available in a cheap paperback re-print, as "tome II" (ie. volume 2) of the series "Les Perspectives Dépravées" (Flamarrion, 1996, ISBN 2-80-084623-3, available on the internet from, for example, www.amazon.fr). The Science of Art, Martin Kemp. Yale University Press, 1990. Art and Illusion, Ernst Gombrich. Phaidon Press, Oxford, 1977. Eye and Brain: The psychology of seeing, Richard Gregory. Oxford University Press, fifth edition, 1998.